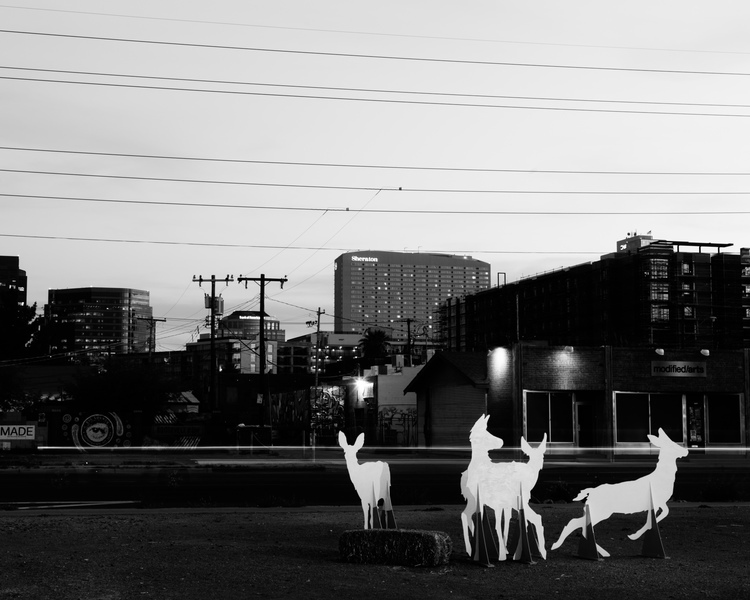 Encounter is a life-size herd of mule deer silhouettes. Painted with reflective white road paint, the temporary installation catches the light of moving vehicles in the Roosevelt Row Arts District of Phoenix, Arizona. Funding for Encounter provided by IN FLUX Cycle 3.